The Metropolitan Transportation Authority will soon offer you an apology with a courtesy pass the next time your commute is messed up. “We apologize for your ride today, and pledge to do better,” reads the mea culpa on passes that straphangers can grab at station booths starting Sunday. In the subway’s sorry state of affairs, the pass will let riders resume their disrupted commutes at another subway station, or on buses. 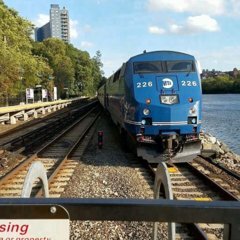 If the MTA doubly screws up, they’ll give you two passes, if continuing on your way requires two rides — such as a bus and a train ride, or two bus rides. Station agents and supervisors can hand out the passes if they believe they’re necessary. The courtesy passes will replace the so-called block ticket that riders can get when a problem forces them out of the subway system. A new twist with the passes is that station agents and MTA employees can hand them out when elevators break down. NYC Transit’s chief customer officer, Sarah Meyer, conceived of the kinder, humbler courtesy passes at the direction of the agency chief, Andy Byford. But riders said that the MTA can save its “sorries” and the cash it took to print them. Rider Lucas Levy, 29, said an apology means nothing without some action. “Spending money toward an apology rather than fixing the subway, that’s a waste of money,” Levy, a Manhattanite, said. Although personally, I'd rather a gesture coupled with analyzing who's making the dispatching decisions that lead to some of these blunders and reassigning or terminating their leaders. But I think differently than most. I would like them to also take into account trains on their way to Penn Station, Atlantic Terminal, Port Authority etc. Some people have scheduled departures to make, try to limit delays on trains ALMOST THERE. I’m with the riders. Since I started my advocacy group, I’ve been keeping up with other similar groups on social media and some of the stories are just ridiculous. For example, the elevator situation at 190th on the line where ALL of the elevators are broken down when people are trying to get to and from is insanity.